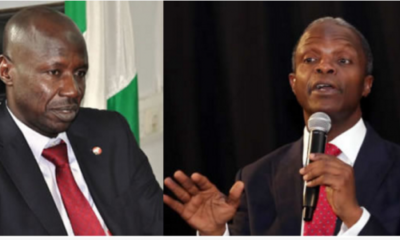 Vice President Yemi Osinbajo and Osun State Governor Gboyega Oyetola on Friday said President Muhammadu Buhari remained the only credible candidate that can take Nigeria to next level of development. 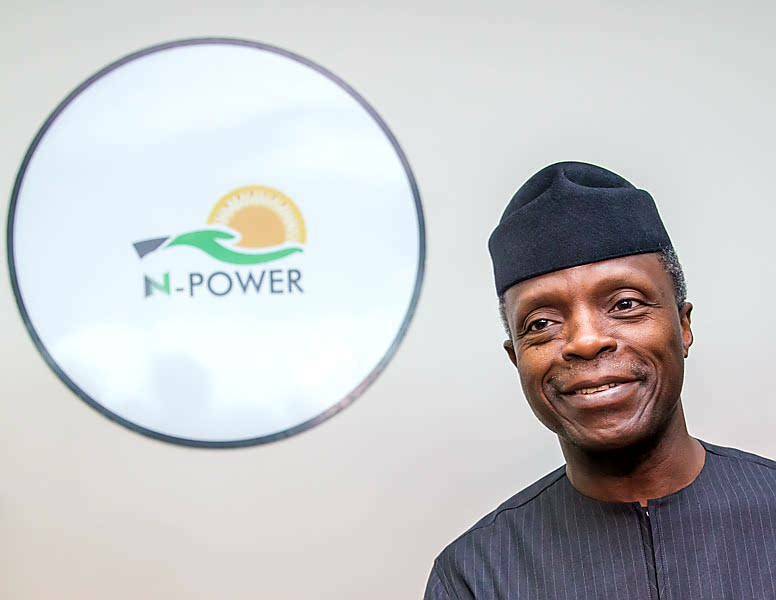 Osinbajo said if reelected, the Buhari administration will take the number of N-Power beneficiaries to 1.5 million. 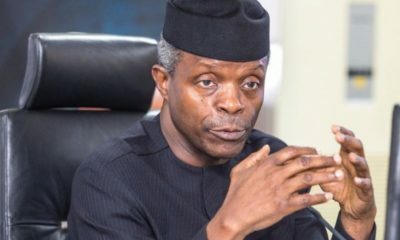 Osinbajo said: “We are seeking for second term to consolidate on the good work which we have brought to Nigeria as we are poised to build a prosperous Nigeria for Nigerians. “The statistics increment will help to absorb 1.5million youths out of 1.7million graduates that our country produces every year. “Though we have started loan scheme to support the economy through what we tagged ‘traders’ money’ but we will strengthen this scheme by establishing entrepreneur bank that will be responsible for this initiative. “We are ready to consolidate these laudable achievements as we have all seen the good works the present administration had recorded in the areas of infrastructure, health, security, electricity, agriculture, education among others”. The visit was in continuation of Osinbajo’s tour of the Southwest ahead of Saturday’s presidential election‎. The Vice President who kicked-off the tour from Owa Obokun’s palace addressed a cross section of Ijesa traditional rulers and a rally at the palace square before proceeding to Ataoja’s palace in Osogbo, the state capital. 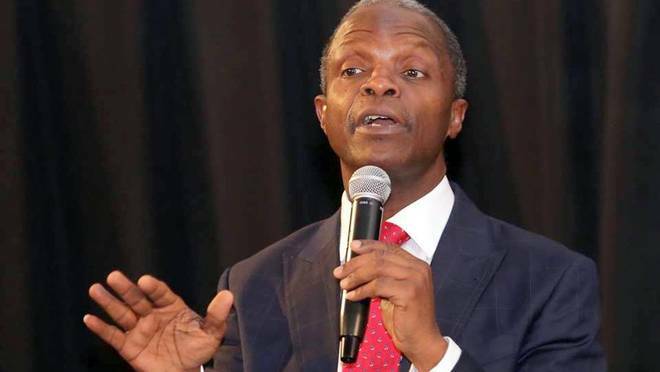 Osinbajo told the traditional rulers that the Buhari administration had laid solid foundation in all sectors of the economy as being reflected the successes recorded in the last four years of his administration. Governor Oyetola implored the people to vote for President Buhari and Osinbajo. Oyetola who described President Buhari as most credible candidate and patriotic Nigerian, said his return to power will fast track fortunes for the country. He added: “Today’s visit is significant in the history of Osun as it marks another success for us. It shows that our state is critical in the social protection programmes of the present administration led by President Buhari. “There is no doubt in the fact that our state has benefited largely in the developmental agenda of the present administration, hence the need to support it for second term. “We need your support to ensure that President Buhari is returned to power‎ in the interest of the development of our state and Nigeria as a whole”, Oyetola solicited. Showering royal blessings on the Vice President and his entourage, Oba Aromolaran prayed for the successful conduct of the elections. He said since the role of traditional rulers is to pray God to guide all the aspirants, and select those who will move the country forward and benefit the masses, hence the need to pray for the success of President Buhari and Osinbajo in the next presidential election. He said: “I wish you success, God guidance and mercy in the course of your travelling to seek for support for the re-election. 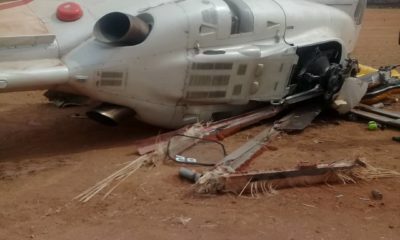 Those in attendance include: Osun Deputy Governor; Benedict Olugboyega Alabi; former Osun Deputy Governors, Mrs Titilayo Laoye-Tomori and Senator Iyiola Omisore; Special Adviser to the President on Political matters, Senator Babefemi Ojudu; traditional rulers in Ijesaland among others.